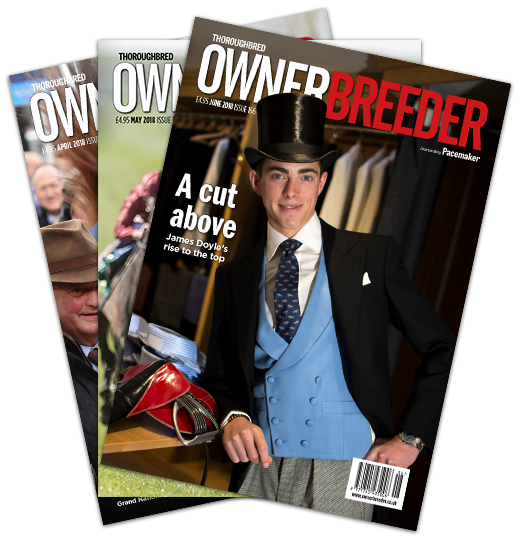 "Nick Rust's plans need support from stakeholders or will fail"
Nick Rust’s speech at July’s Racehorse Owners Association AGM receives plenty of coverage in this issue, discussed in columns by Nicholas Cooper and Howard Wright and the AGM report in the ROA Forum. The BHA Chief Executive produced a tour-de-force, discussing a variety of issues concerning the sport – prize-money, equine welfare, integrity and Brexit were all covered, not surprisingly – yet he stated that racing’s single biggest challenge was staying relevant in modern-day Britain. Rust’s thrust was that racing will only thrive if it reflects the rest of society and resonates with people from all ages and backgrounds. This, in turn, will drive engagement, participation and employment, plus increased media coverage and betting. It all sounds so sensible – but can this vision be achieved? Not by the BHA alone, that’s for sure. If racing is to move forward in the ways outlined by Rust, it will need ‘buy-in’ from all its stakeholder partners and a co-ordinated plan of action – and that’s where he could have problems, because the BHA, despite its position at the head of the sport, has limited powers in many areas. 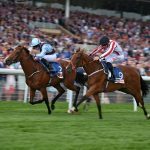 Take the example of fixture planning – the recent ‘Super Saturday’, with racing at Newmarket, Ascot and York among six Flat meetings that day was followed by a ‘Sorry Sunday’ of jumping action at Perth, Stratford and Southwell. Clearly, this lopsided weekend would not have been what the BHA – or bookmakers, for that matter – wanted, but there is, apparently, very little they can do about it. Racecourses rule, okay! Rust praised the progress made through the members’ agreement, a tripartite system of governance and decision-making involving the BHA, horsemen and racecourses. His hopes for racing extending its reach and relevance will only be realised if he is backed accordingly at this level. Martyn Meade has backed his own judgement by moving his training operation to Manton and the indications are that his brave decision will pay off. Despite a successful time at Sefton Lodge in Newmarket, during which he sent out plenty of winners, the opportunity to buy into the historic stable once owned by Robert Sangster proved too good to pass up. In exciting two-year-old Advertise, emphatic winner of the Group 2 July Stakes at Newmarket, he has a horse to dream about for the rest of this season and into next year. One interesting aspect of the Meade operation success story is the prices they are willing to pay at the sales. By today’s standards they are not big spenders yet have a tremendous record in spotting talent. Showcasing’s son Advertise, for example, was bought for £60,000 at Goffs UK as a yearling – Phoenix Thoroughbreds have purchased a share in him subsequently. “We select and buy the yearlings ourselves,” Meade tells Tim Richards. “I head up the buying team, very much supported by my son-in-law Dermot Farrington, who is a bloodstock agent, and my son Freddie, who is my assistant trainer. “We have strict guidelines that we adhere to when selecting and purchasing the yearlings. Suffice to say, we value the horses and don’t get carried away with auction fever.